Events @ Greg Vann Nissan - Cambridge, ON - Get Involved! Any community events at Greg Vann Nissan will be posted here, so our customers can get involved! Dates and times will be displayed for your convenience. 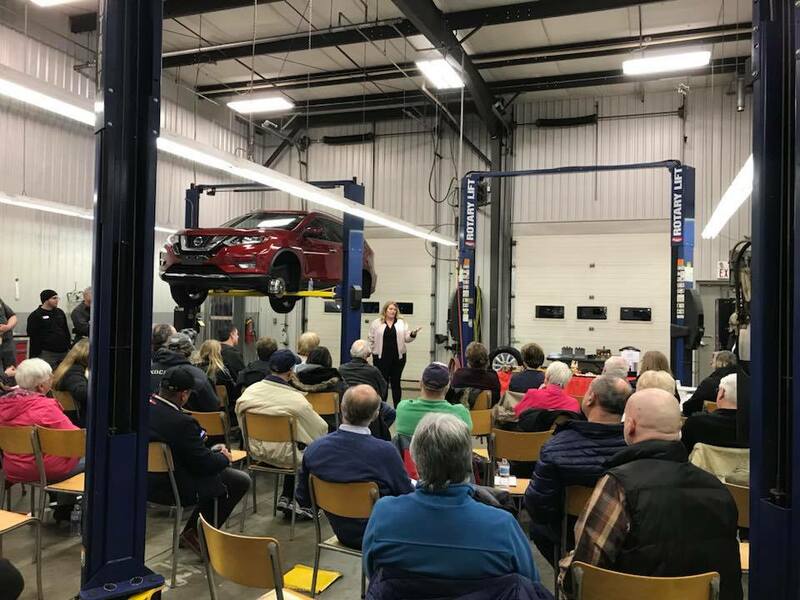 Description: Join us with Christine Mitchell (licensed automotive tech with over 30 years experience) for a night of getting to know your Nissan! There will be free appetizers and refreshments, as well as a free gift for all who attend. You will learn about safety features, caring for your car, maintenance schedules, reducing operating costs, accident procedures, and recall checks. You will also be given an under the hood, under body, and brakes and tires demonstration. Overall you will get to know your Nissan better, and you will get a behind the scenes look at our Service Department! If you’d like to know more about your car, then register for Get to Know Your Car Night at Greg Vann Nissan, on Thursday, October 25th!